As I pondered topics for this quarter’s missive, I decided to browse presentations from some recent conferences that focused on both technology generally, and financial services specifically. The former was full of optimism and excitement over a new day dawning and the power that advances in big data, analytics, and decision management might bring. The latter was replete with complaints over burdensome regulations, an inability to meet customer’s needs, and the desire to modernize extremely outdated legacy platforms. It truly seems that the approaches we discuss regularly here at BPMInstitute.org are not being fully recognized as potential solutions to alleviate the significant pain being felt. But why? The “digital transformation” is upon us – or so we hear regularly. But even that seems somewhat confused. It’s often described as the collection of the aforementioned technologies (throw in Cloud and Mobile for good measure) but it’s not just that. And while we can move legacy systems to these new platforms and (hopefully) reduce costs in operation and maintenance, that’s not truly a transformation either. As Andrew Spanyi has articulated in "4 Critical Factors in Digital Transformation Success", it’s the transformation that’s directed at bringing value to your customers using these technologies that we should address. So what is an established lender or financial institution faced with? Increasing regulations, outdated technology platforms, and a completely different target base of potential clients – clients that will require new ways of interaction. How can they digitally transform? Moving legacy systems to a cloud platform and tossing a mobile app on the front end is, as was discussed earlier, not enough. It’s not a true transformation and it doesn’t address most of the key issues facing the modern lender. 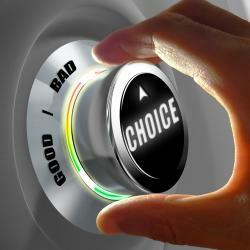 Not surprisingly, decision management can and should play a key role here. Focusing on the identification and delineation of the key decisions in core business logic starts a logical process of transforming fragile, unmanageable platforms to agile decision services. This agility - based on the inherent ability of decision management systems to be easily updated and modified – means that the modern enterprise can easily keep up with the frantic pace of regulatory changes. More importantly, the wise enterprise will take advantage of this transformation to update the core logic as needed. It’s a significant improvement to articulate the core business logic in terms of decisions, however, it may be time to update that very logic! For example, an analysis may show that a disproportionate number of new homeowners under the age of 40 made significantly larger down payments than necessary (corresponding to the what the Fannie Mae survey found). This may entail alterations to the logic underlying the decisions as well as suggesting alterations to new mobile loan application apps that include warnings or advice when the borrower needs extra information and wants to learn this independently (also in line with the survey showing millennials don’t want outside ‘assistance’). This brings value to the customer as well as customers to the enterprise. Decision management can form an integral component of the modern digital transformation. But let’s ensure that core logic is truly meeting the needs of the customer. The value must be driven through to them!